IN THIS REPEAT: Some reflections on THE SCREWTAPE LETTERS. 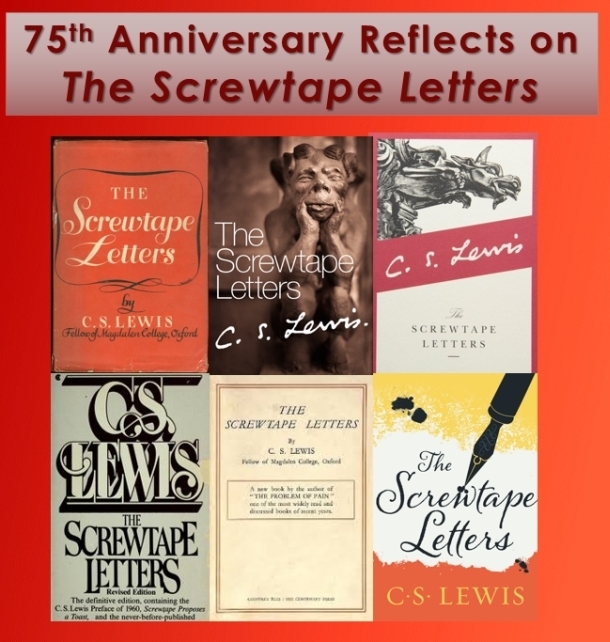 As this podcast is released it's the 75th anniversary of the very first letter from Screwtape. Before the book version of The Screwtape Letters was published in 1942, The Guardian (a church publication that is no longer published) released the letters weekly, starting on May 2, 1941. What follows are short reflections from a variety of individuals about the landmark material that was Lewis' first claim to fame. Comments are from Dr. Bruce Edwards, Dr. Jerry Root, Brenton Dickieson, Andrew Lazo, Christin Ditchfield, Rev. Dr. Bruce R. Johnson, Mark Wallace Maguire, Dr. Don King, Dr. Crystal Hurd and Sandy Smith. Follow the links below to learn more about them.